DESPITE having been to New Orleans a few times, everywhere I looked on this trip, there was something new to see. I struck out with my camera to rediscover more of this incredible city, and found more surprises around every corner. 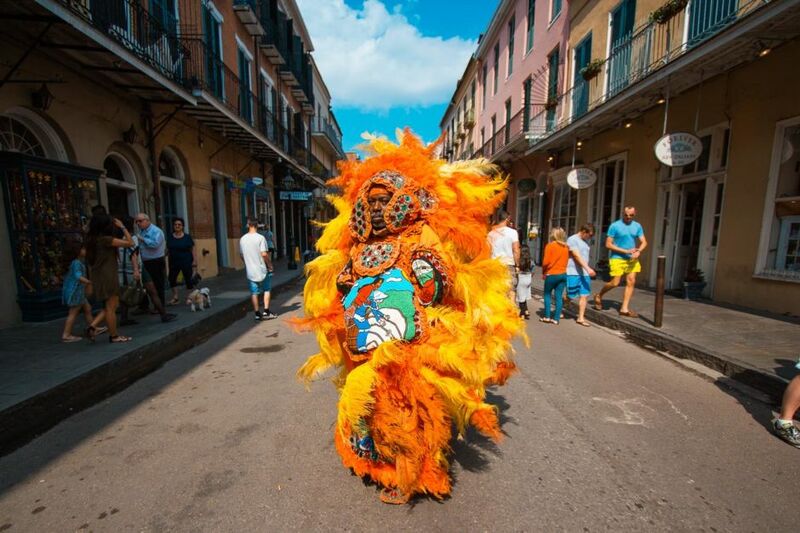 A lone Mardi Gras Indian in the French Quarter dances along with the music from local street performers. There are as many as 38 African-American tribes in the parades. 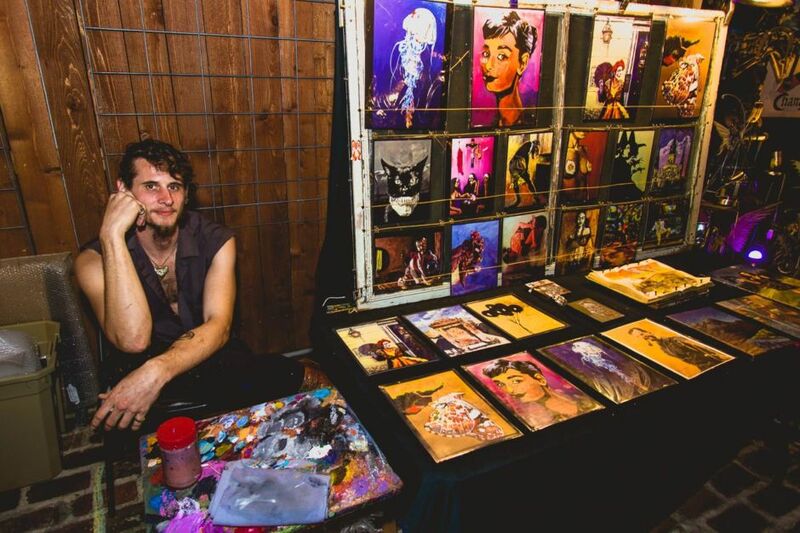 For me, local artists are the beating heart of New Orleans. Skull Paradise caught my eye with brilliantly colored paintings and skull sculptures. 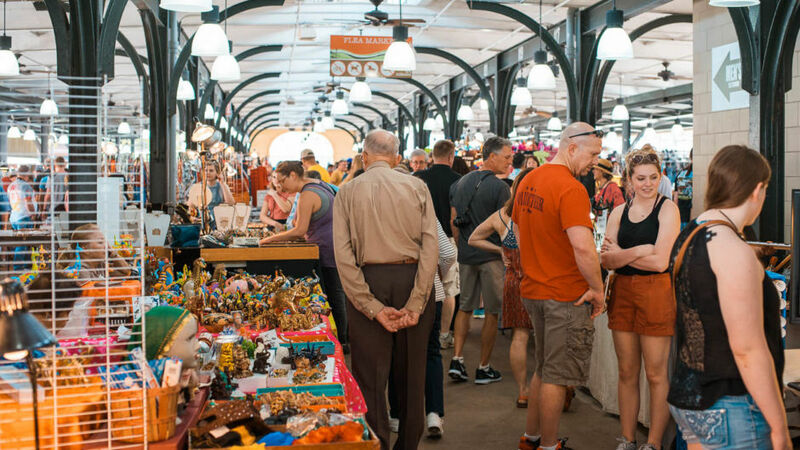 The owner couple has a booth at the French Market – which may be America’s oldest public market - downtown. They create with materials like papier mache, ceramic, wood, and acrylic. Rico Salas is another local artist who not only displays and sells his work, but creates some of it at his booth in the French Market. Jackson Square is in the heart of the French Quarter and a great spot to just sit and look around. The square is lined with giant oak trees which shade the artists and painters displaying their work along the iron fence of the square's perimeter. 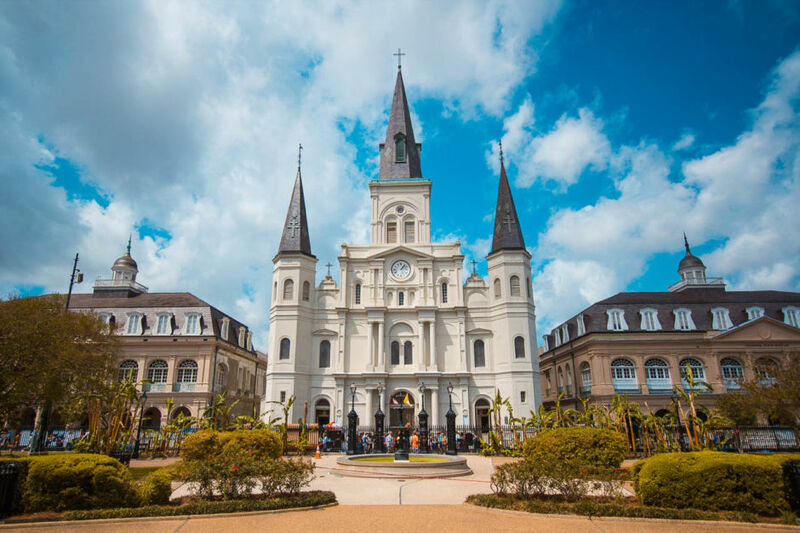 The St. Louis Cathedral is a great photo op, with its symmetrical triple steeples - and continues to be a place of worship for locals and tourists alike. 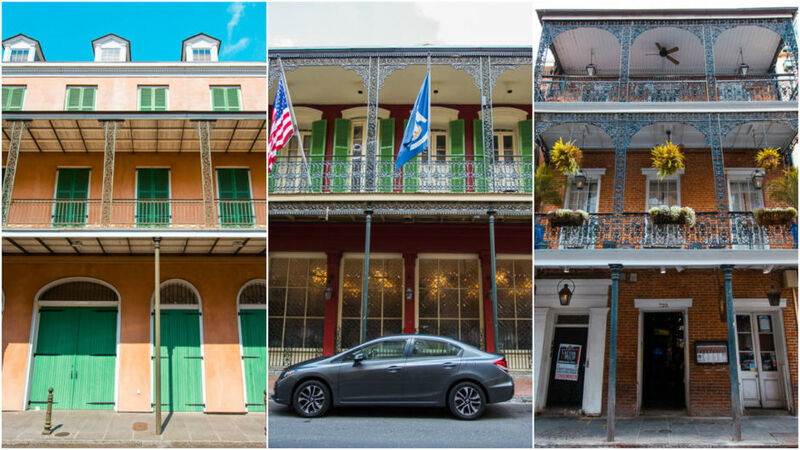 The French Quarter has vividly colored buildings, many with iron filigree balconies. The iron work of the balconies has both Spanish and French influence. This quarter is a great neighborhood for walking and sight-seeing. 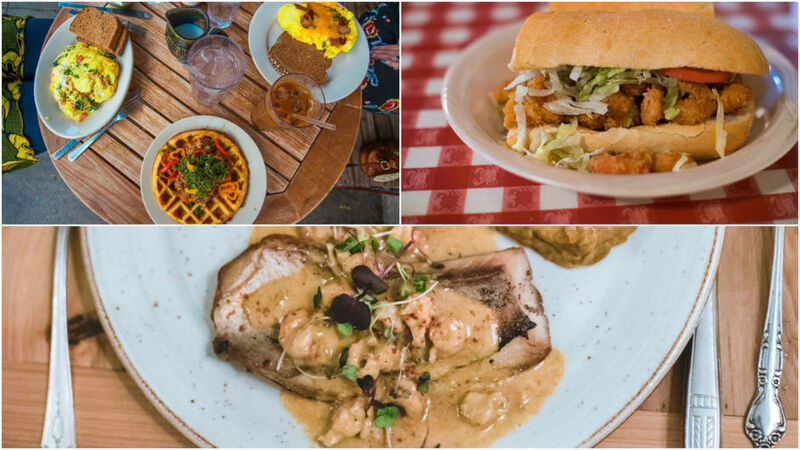 Locals directed me to a great food and wine place at the very end of Chartres St in the Bywater neighborhood - Bacchanal Wine. 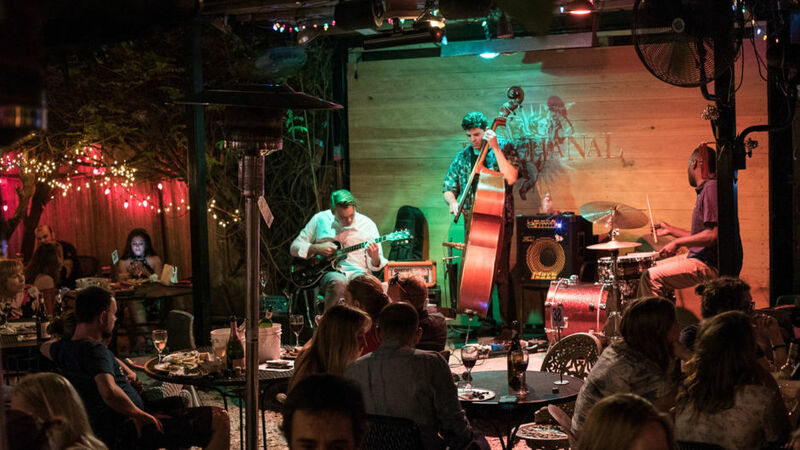 You go in through the front into their house wine shop and back out into an open courtyard where live music is played daily. You can follow the side stairs along the main building and up to a balcony overlooking. You can have a drink and order appetizers here. Their house-made wine was amazing. Bacchanal Wine felt like a little oasis, a perfect place to end a long day on my feet, pack away my camera, relax and soak up New Orleans' magic. I made my way down to Frenchmen Street to catch live jazz. Little did I know I’d stumble upon the Art Garden. Local painter Nathan Durapau and other artists sell their prints at the Art Garden along with other artists. 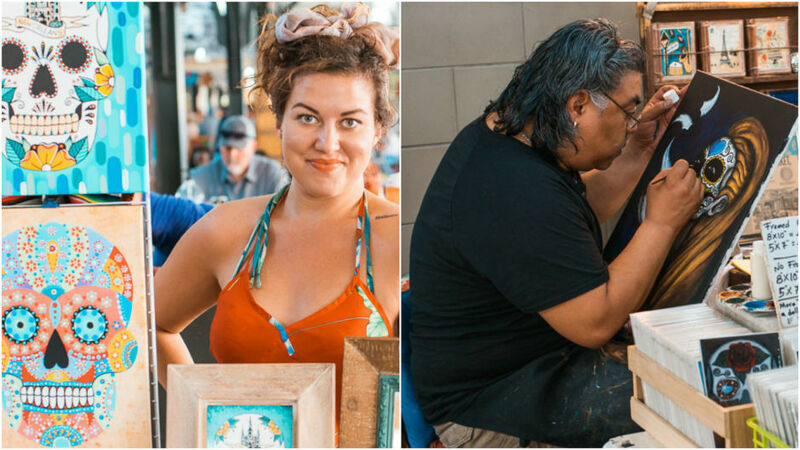 This is the place to pick up an original piece of art to take home – and support locals while you’re at it. Mardi Gras mask shops can be found on almost every corner of the French Quarter. They display masks from full face, to just covering the eyes, and my favorite: the doctor plague masks. 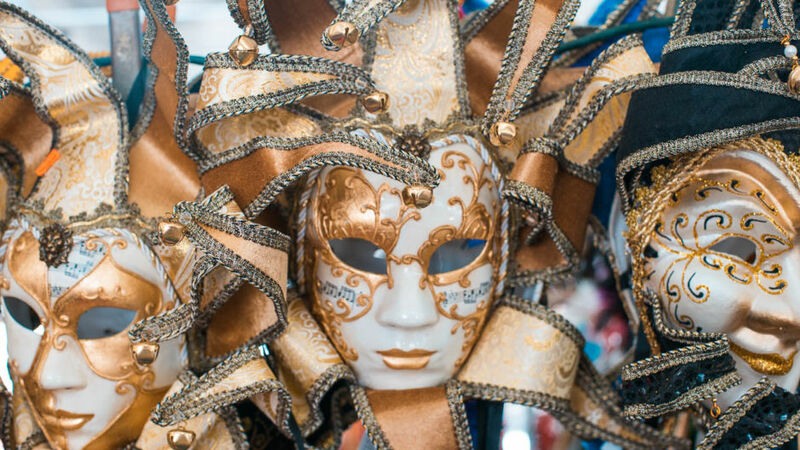 The masks have become a tradition during Mardi Gras and give the freedom to become whoever you want for a night. New Orleans is a city in which you can stop and take a break almost anywhere, because of the street performers and live music. 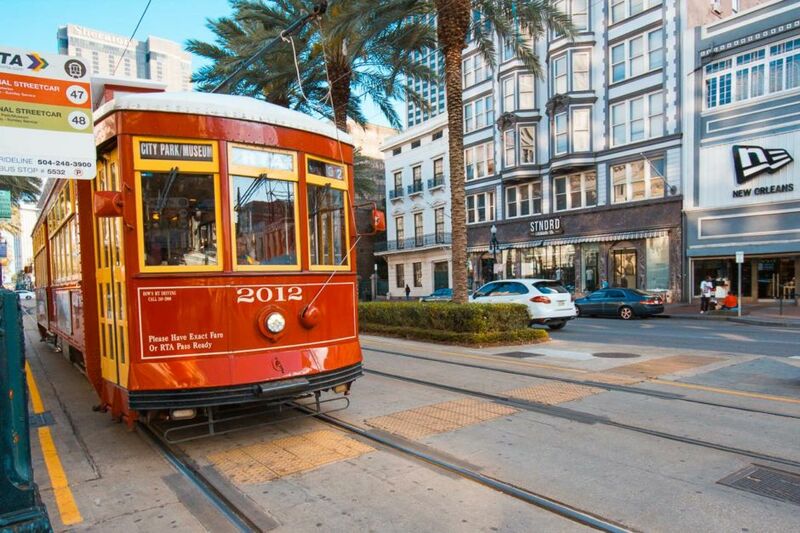 Royal St, Jackson Square and Chartres St are popular streets to find the bigger bands. 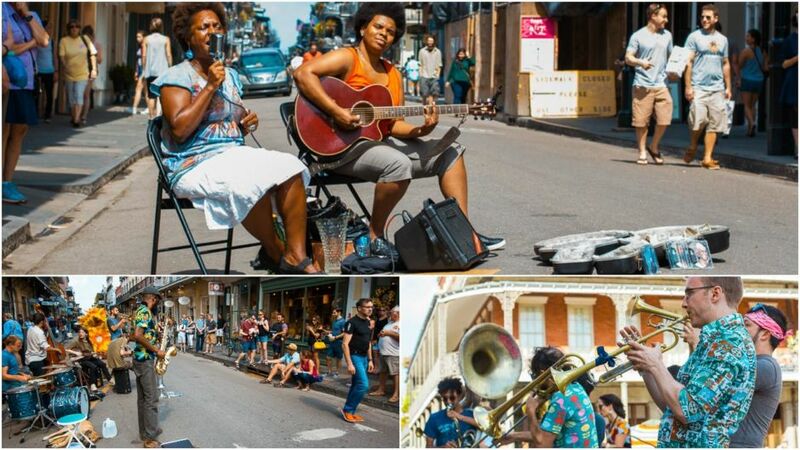 From a duo to a small group to a 12-person brass band, these musicians captivate the crowds. I wandered the street on foot for the majority of my trip. but to go the longer distance to other districts I hopped on the Cable Car. It's a really easy mode of transportation and you can purchase a variety of passes that fit your needs. 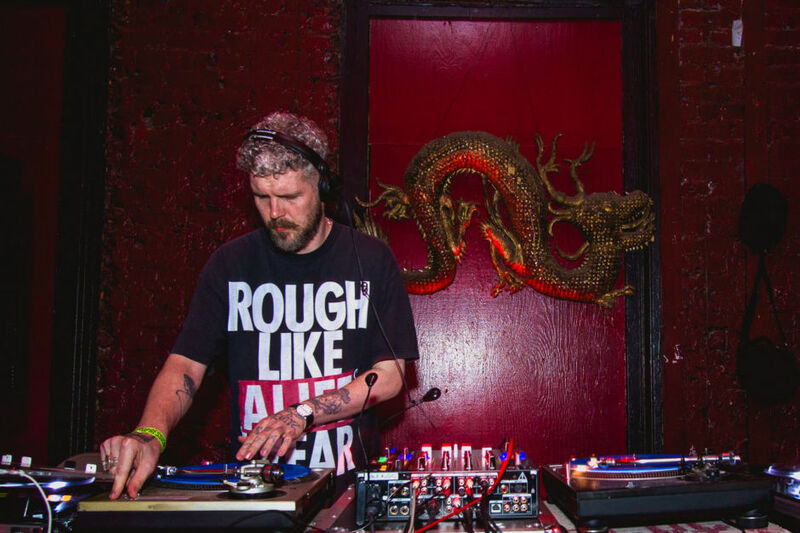 Dragon's Den, at the corner of Esplande Ave and Frenchmen St is the one place you’ll find electronic music among the jazz venues. Dragon’s Den is a dive bar nightclub that hosts a variety of musical artists for their themed nights. On Sundays, they present “Church” -- their weekly dubstep and bass night. Johnny’s Po-boys: made by Johnny’s daughter and overflowing with fried shrimp, this Po Boy was big enough for two. I ate brunch at Horn's where I tried their cornbread waffle with pulled pork and chimichurri. I chose Cavan, an old mansion located in the Garden District, as my spot for fine dining. I had an incredible seafood dish but their menu changes seasonally, so just take whatever they’re offering. The French Market is down along N Peters St. Rows of vendors fill the area. Shoppers can marvel at items like alligator heads and handmade name bracelets. 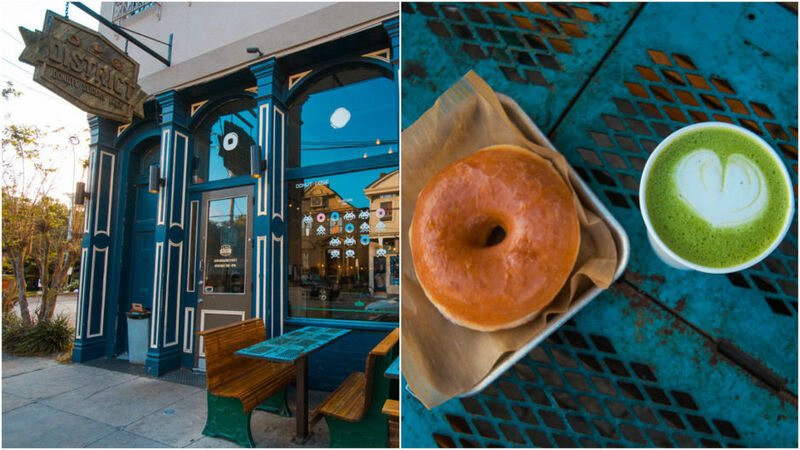 District Donuts is the perfect spot to take a break after wandering the Garden District. Brûléed cinnamon roll – need I say more? 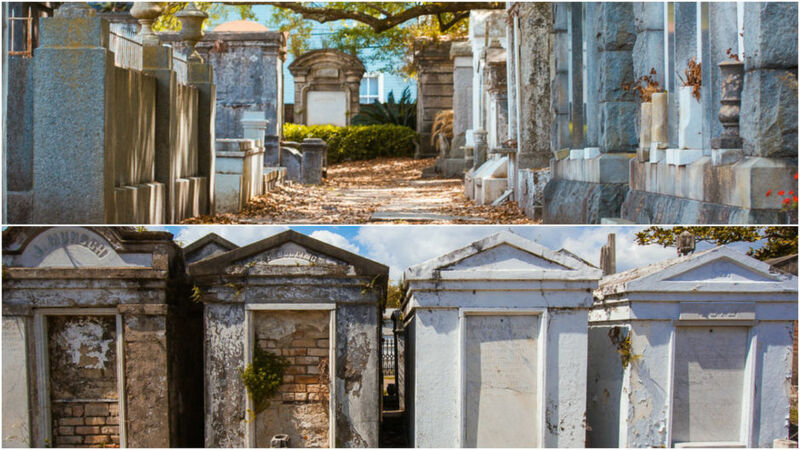 Lafayette Cemetery No.1, located in the Garden District, is a great place to explore, with above-ground tombs and plenty of history – including graves of civil war soldiers – and a good look into New Orleans’ past. Those Mardi Gras beads you’re throwing around aren’t harmless. Here’s why.